Moss Cottage Boarding Kennels in Manchester is set amidst 9 acres of moorland in Sale, Cheshire. The complete holiday home for your dog or cat to enjoy – where better than a caring place for your Best Friend/s. Moss Cottage Boarding Kennels is conveniently situated off J8 of the M60, 15 minutes from Manchester International Airport and just a short distance from Manchester City Centre. Moss Cottage Boarding Kennels is privately owned and operated by a small team of animal lovers whose main interest is to make your pet happy and comfortable during their stay. Please see below for more information on our boarding kennels and cattery in Manchester. Our prices are per day or part thereof. There is a reduction for pets from the same family sharing a family kennel or cat house. Please ask at time of booking. All veterinary recommended medication can be administered by our trained staff while your pet stays with us. If injections are required to be administered out of kennel hours (10am-4pm), then their will be a small fee of £2.00 per injection applied. We require that all pets boarding with us must be fully vaccinated, including the Kennel Cough vaccination and that all their boosters are up to date. All vaccinations require annual boosters. Since the Kennel Cough bacteria can be present anywhere and can travel for considerable distances through the air, it can affect any dog… even one which never leaves its own back garden. However, kennel cough is more likely to occur when the concentration of dogs is greater, such as at a dog show, kennel, vets and other places dogs go e.g. pet shops. Dogs can also be exposed while running loose or while being walked near other dogs or playing in the park. In short, it is possible for kennel cough (canine bronchitis) to be passed on anywhere that dogs congregate. Kennels with a rapid turnover of guests can be particularly susceptible and this is because, in a kennel, a dog encounters two conditions that do not exist at home which are the proximity to a number of potentially contagious dogs and the excitement of a less familiar environment, which can result in lowered resistance to disease. These same factors explain why children are more likely to catch the flu in school, rather than at home. We ask that all dogs are vaccinated with the Bordatella Vaccine (which is a squirt up the nose) against the disease. It is important to understand the Bordetella vaccination used to prevent this viral disease is made from only one strain of over the 100 different strains of the virus. Thus the vaccination is not as effective against some strains as others. Some strains are not included in any of the vaccinations. 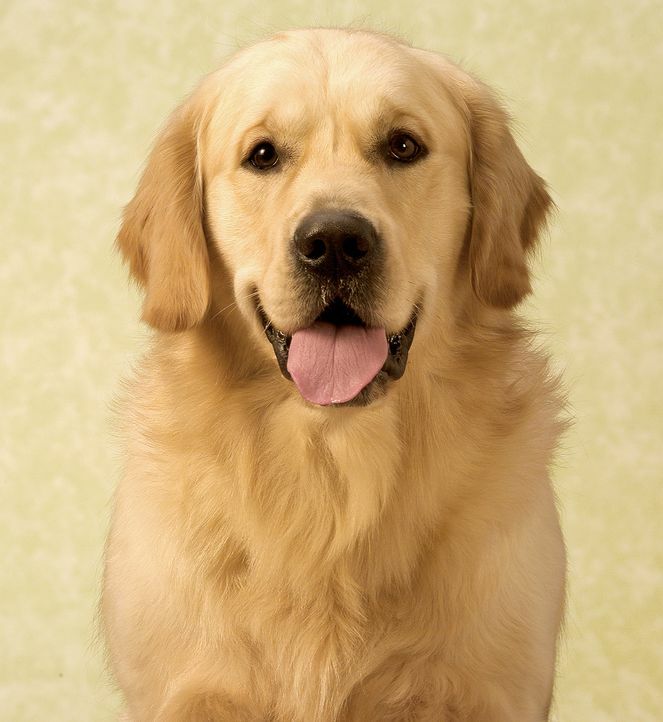 Therefore, in some cases there is no prevention against Kennel Cough. No amount of supervision, sanitation, or personalised care can prevent a dog from “catching” an airborne disease. All that we can do is to recommend immunisation against Kennel Cough. Please ask your vet for details of the vaccination, it will have to be administered at least a week before boarding and now lasts for a year so is easy to get when your dog has its annual booster. We also refuse to take in any obviously sick dogs or any dogs that are clearly coughing. The above is for the comfort and safety of all our boarders, where a risk of cross-infection may exist. We need to see each dog’s vaccination card or other veterinary certificate at the time of checking in for our own records. We have introduced a Loyalty Card Scheme here at Moss Cottage Kennels. Stay 5 times and as a Thank You we will groom your dog free of charge. Every month we intend to have a different promotion. 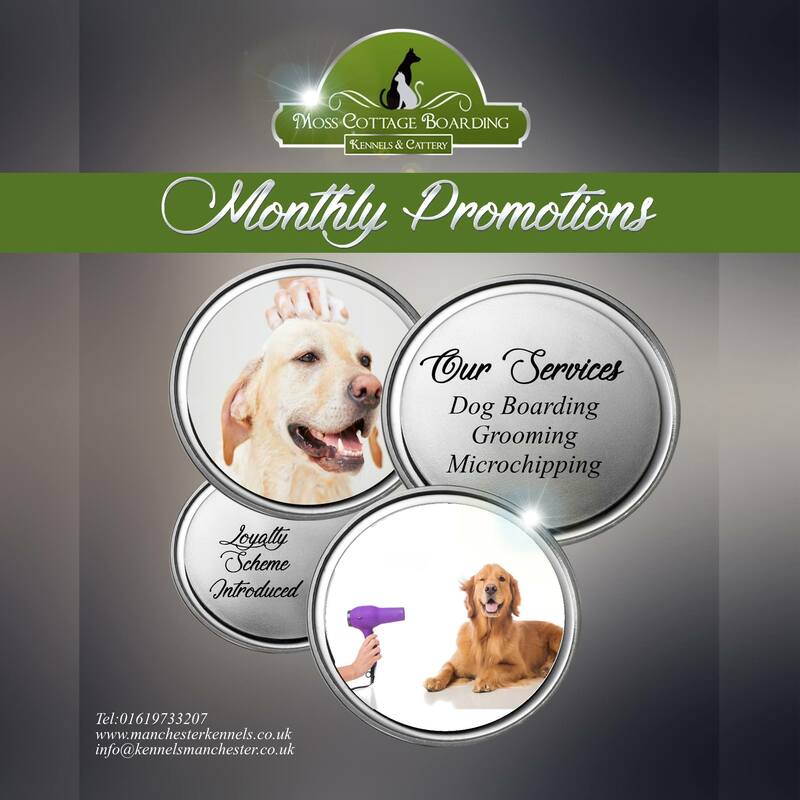 February’s Promotion is ‘Stay a minimum of 3 days and we will groom your dog for Half Price. Regularly use these kennels for my dogs for both long and short stays, the dogs are always delighted to get there and the staff are friendly and knowledgable and always remember the quirks of my individual dogs. Would strongly recommend. I have used these kennels for over 8 years, I have found the care of my dogs and service offered is excellent. The staff are friendly, welcoming and very knowledgeable and the kennels are clean and secure. The dogs are exercised regularly in the runs and they always come home happy and healthy. Definitely recommend them.